Бесплатная портативная зашифрованная система для флешки или внешнего жесткого диска для безопасного редактирования и просмотра конфиденциальной информации, для шифрованной связи и анонимного веб-серфинга. Privatix Live-система на базе Debian GNU / Linux. Она проста в эксплуатации и безопасная портативная система, которая может быть загружена с CD-ROM, флешки или внешнего жесткого диска и обеспечивает конфиденциальность ваших данных и конфиденциальность при работе в Интернете и общения или редактирования и шифрования конфиденциальных данных. That's why we created the Privatix Live-System (based on Debian GNU/Linux). 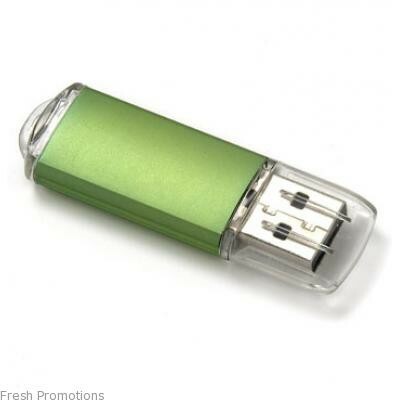 It is an easy to operate safe and portable system that can be booted from a cd-rom, an usb flash drive or an external hard drive and ensures your privacy and confidentiality while using the internet and communicating or editing and encrypting sensitive data. Therefore standard applications such as browser, email client, word processor, image viewer and most importantly numerous data protection and encryption software are integrated. Private data and settings, documents, e-mails, or pgp-keys are not saved on the computer that you use but instead those are saved on the encrypted usb flash drive or on the encrypted external hard drive. In case of loss or theft of the data medium your personal data is going to stay protected by a password. No free storage space is required, no system needs to be installed or any specific operating system or other programms are necessary on the computer that is used because the whole system and all other applications are loaded from the usb flash drive or from the external hard drive. This way you can use unknown computers without having to rely on the security of the installed operating system that might be infected with trojans or software keyloggers and without requiring tools to be installed and despite of this mobility preserve high data protection standards or you can create a separate secure environment for very sensitive data or communication (e.g. collective bargaining, online banking, whistleblowing and e-mail encryption) on any external medium in addition to your regular operating system installation. Burn the iso on a cd. Boot your computer from this cd. Start the installer clicking to the "Installation"-icon on your Desktop. Now you have only to choose an usb-device and to type the encryption-password to get a mobile and encrypted gnu/linux system on an usb-key or on an external harddisk on which all your data will be encrypted. Boot the system from the usb-device or from the external harddisk (maybe therefore you have to change your bios-settings). Type in your encryption password. Then you can use the system like other Debian systems, for example to encrypt your email with thunderbird, enigmail and gnupg. All your settings and data will be safed encrypted on the usb-device. Burn the file boot.iso which was created in the not encrypted boot-partition of your usb-device while the privatix installation to a cd and use it as boot-cd. This special boot-cd will start the privatix system from your usb-device, even if booting from usb-hdd is not supported by the bios.